I was lucky enough recently to be part of a North Iowa Bloggers trip to Omaha, Nebraska. My thanks to the Omaha Convention and Visitors Bureau for hosting me! As always, all the views expressed here are 100% mine. Our last day in Omaha turned out to be our hottest day there! We had a lot of walking ahead of us and were determined not to make the heat an issue at all. Before the day was over, we would be dealing with heat indexes of 114 degrees! We knew while we were there, that we had to go see/cross the Bob Kerry Pedestrian Bridge! It is the longest pedestrian bridge to link two states, over the longest river in the country! It was a beautiful morning and a lot of people were taking advantage of it, walking and biking across this gorgeous bridge. If I lived in the area, it would be a place I would often do the same at! The scene from the bridge. 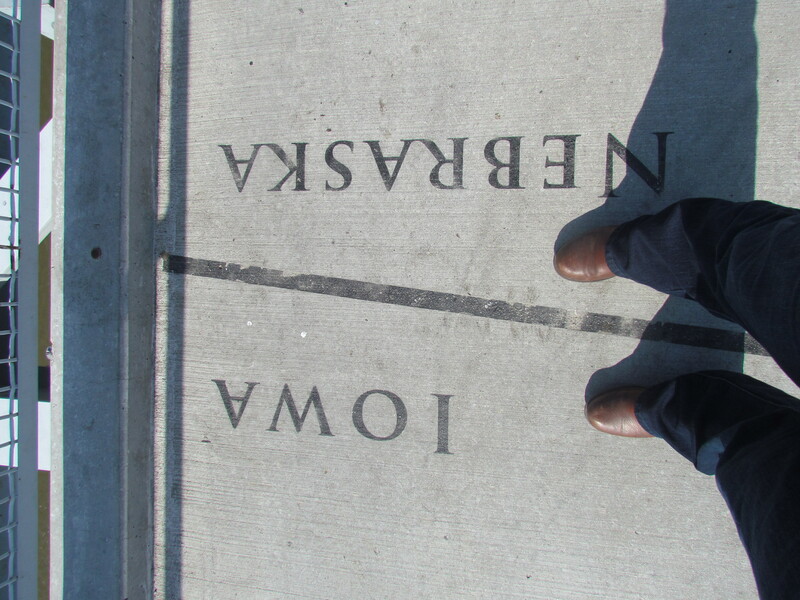 If you visit Bob the Bridge, be sure you tweet a picture of you standing in both states! You can follow ‘Bob’ on Twitter. 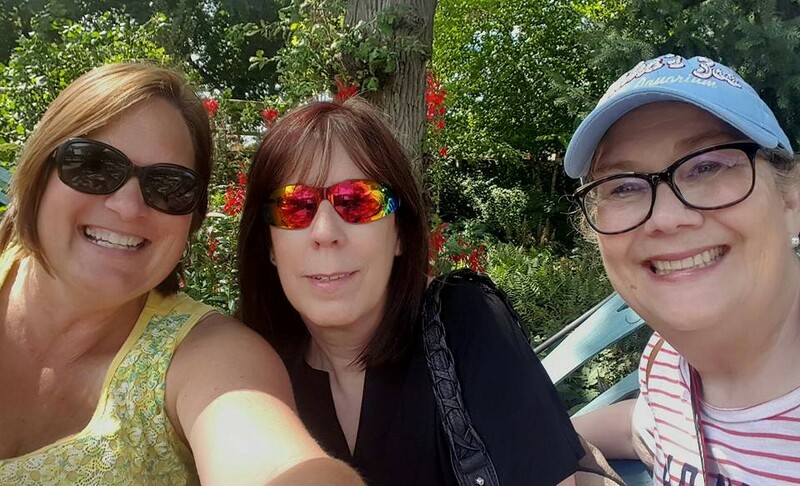 After the Bridge and a quick duck into the nearby National Park Service building to cool off, we headed to meet our guide from Omaha Culinary Tours. Did I tell you yet how HOT it was? 😉 It was! Our first stop was to the Culprit Cafe. The make all their own bread and ice cream and only brew Broadway coffee. Hearing all about his cafe! Unfortunately their air conditioning was broke. 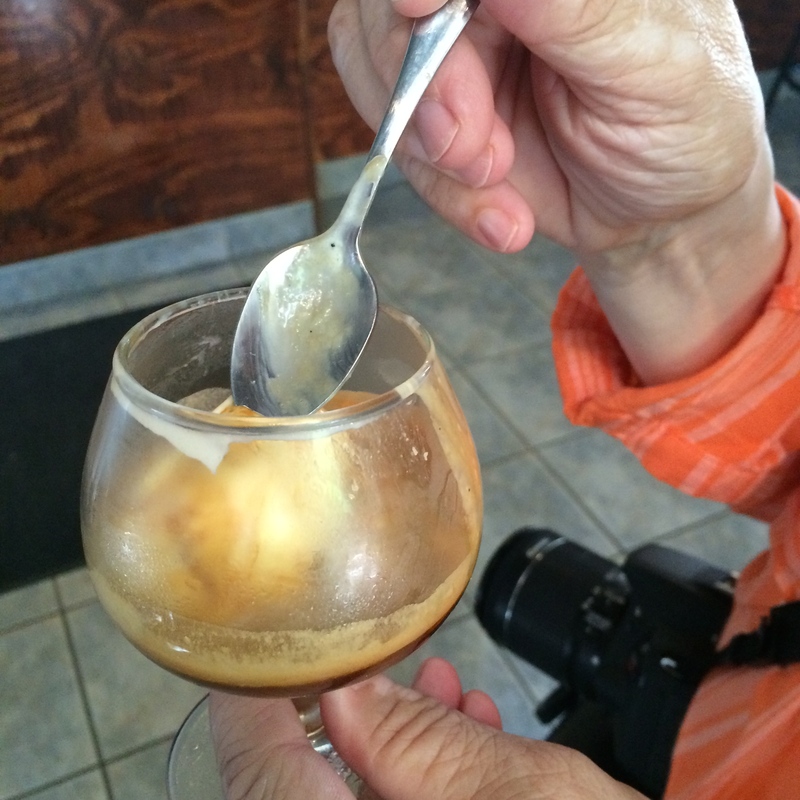 He had to substitute what he was going to make for us with affogato, which was fine with me…it was DELICIOUS! If you don’t know what affogato is, it is a coffee-based dessert. It is usually a scoop of vanilla gelato or ice cream with a shot of espresso over it! YUM! Check out the Culprit Cafe on their website, on Facebook, or on Twitter! But most of all, check them out if you ever visit Omaha! Then make SURE you check out this next place we stopped at! The kitchen table . What a fun, wonderful, delicious place this is! Omaha is lucky to have it! I don’t even know how to describe this wonderful restaurant. Fresh. Unique. Fun. I could go on. The kitchen table uses all locally grown items. They make their own bread in house that has originated from a starter from three years ago. The serve sandwiches, salads, and soups and have a nightly dinner with always a vegetarian alternative. They don’t serve fries as a side with their sandwiches, but a deliciously spiced popcorn. They are closed on Saturdays to prepare for the next week, but you can join them on Sundays for a three course brunch. We were served homemade ginger soda that was so refreshing! I normally am not a fan of ginger soda, but I could have easily drank more of this! We also had hot gougeres (A gougère, in French cuisine, is a baked savory choux pastry made of choux dough mixed with cheese.) straight from the oven. Delicious! Doesn’t this sandwich look great? Even the inside is repurposed from a barn! When asked “How many hours a week do you work?” the answer was “None!” How would you love a job like that?! 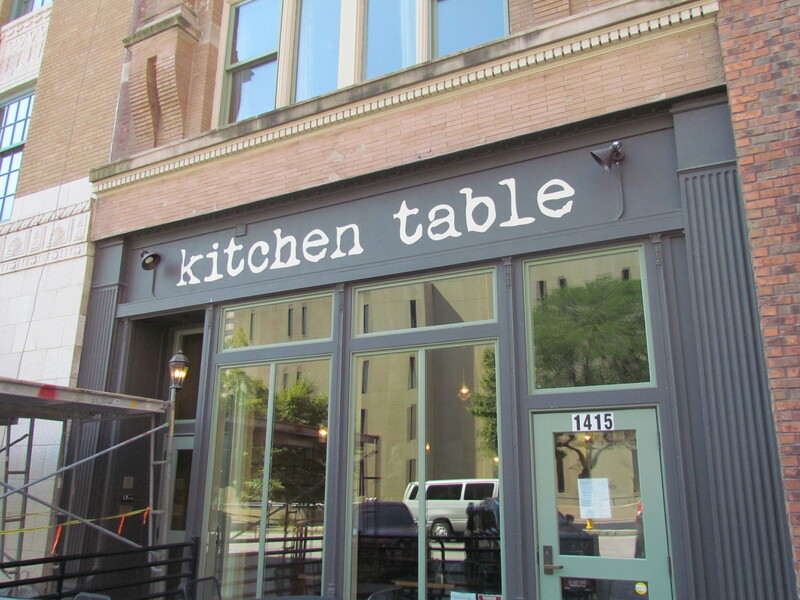 You can check out the kitchen table on Facebook, Twitter, or their website. If you are ever in Omaha make sure you stop here! Next was the Omaha Tap House. We had our choice of drinks and got to taste from a plate of four different delicious burgers. I passed on the one with jalepenos and the one with peanut butter! What I did try was very good! 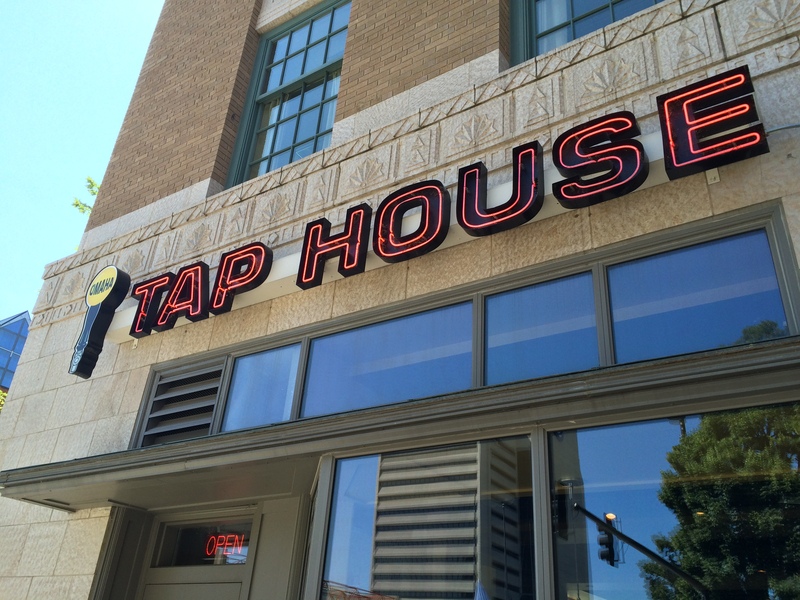 You can find out about the Omaha Tap House at their website, on Facebook, or on Twitter. 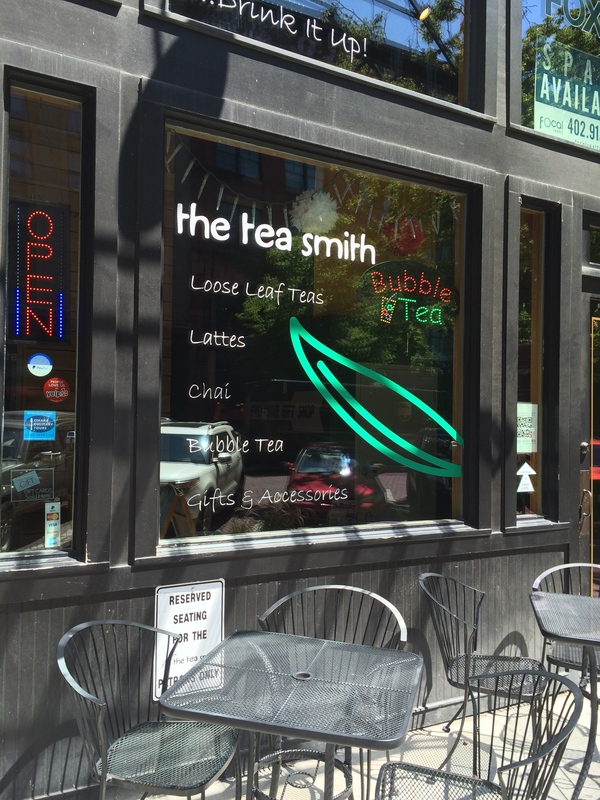 What a great way to break up a hot day, than a visit to the tea smith and get to drink some delicious iced tea! We got to sample a few great teas with the Thai Iced Tea being my favorite. Of course I had to take some teas home. So much shopping to do. Find out more and even shop at their website. Also check them out on Facebook and Twitter. 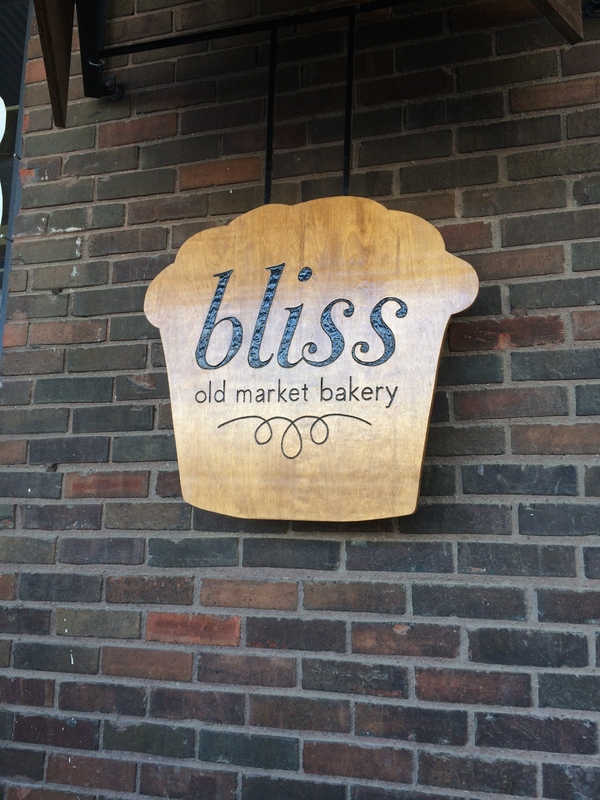 Our next to our last stop on this hot Omaha day was Aromas Coffeehouse and Bliss Bakery, started just five years ago. You may have even seen them on an episode of Cupcake Wars. Aromas is an excellent, local, approachable business. Owner, Autumn serving us our cupcakes. Check out Bliss and Aromas Coffeehouse at their website, on Twitter, or on Facebook. 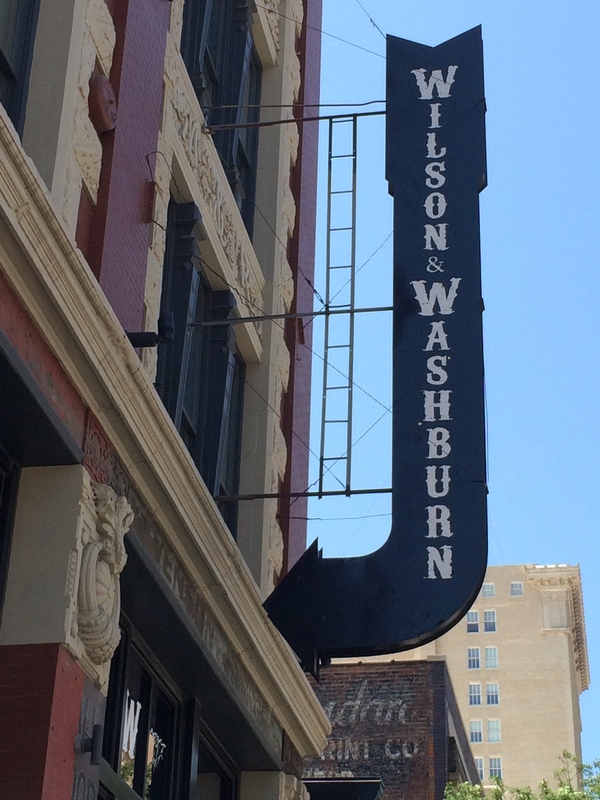 Our last stop on our culinary tour took us to Wilson and Washburn, a neighborhood bar located in a restored 19th century building. It is named after two of Omaha’s ‘famous’ madams-Anna Wilson and Josie Washburn. By this time, we were hot and tired and certainly not hungry anymore. The iced tea was great and quite welcome. We were treated to a unique appetizer at this stop. Beet chips. Yes, you read that right! These were definitely an interesting bar snack! This bar had a great atmosphere and I could see anyone hanging here with friends to enjoy some great food! Learning the history of Wilson and Washburn. Check them out on their website, on Facebook, or on Twitter. It was a GREAT trip to Omaha and we packed a lot of great sites and places in our short time there! I definitely want to go back! Thanks to my fellow North Iowa Bloggers for such great company and fun! Thanks Omaha for being such a great host! Previous Wordless Wednesday-THIS is Breast Cancer Awareness! Joy, it was great reading about your adventures. And even greater – seeing you smile! What a great trip. I bet you know which place would have been my favorite on your trip! Yup!! They had so many teapots too! I passed on those there, though. But then I found one just like the one I wanted at a garage sale …and it was a Lipton one from 1940s! I love it!